writes what she knows best, Cowboys, Cowgirls, Horses, Cattle and the Rural Western Lifestyle. With a family rich in Cowboys and Cherokees, Debra's writings reflect true family history and stories, as well as stories about her friends and neighbors. In addition to numerous other awards for her poetry and performing, Debra has been honored by the Academy of Western Artists with their Will Rogers Award. 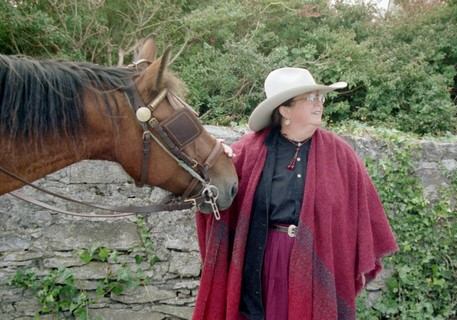 She also received the very first TR Stephenson Memorial Cowboy Poetry Award from the San Antonio Poetry Society. Her poetry also holds awards from the Southwest Nighthawks Storytellers Association and the Western Poets Circle. 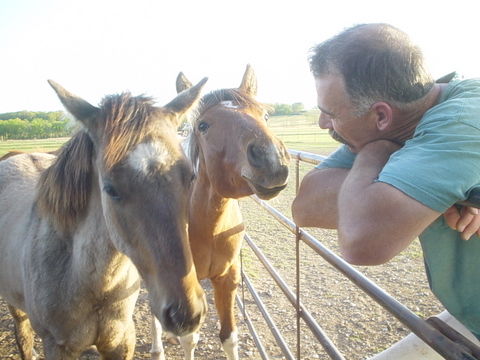 RIDING DRAG, Debra's weekly column features stories about life at the family's brood mare and breeding operation the 4DH Ranch, Cowboy Poetry and happenings in the world of Cowboys and Cowgirls. RIDING DRAG is featured here at ALWAYS COWBOY. floor of the Oklahoma House of Representatives and was presented with a Citation by the State of Oklahoma for efforts in preserving Cowboy literature. Debra has been published in dozens of books and in newspapers and publications around the world and in a multitude of places on the Web. Debra and her partners Robert Beene and Angela Wilkes teamed up to produce the book ONCE A COWBOY and are currently working on another compilation of their poetry and stories. 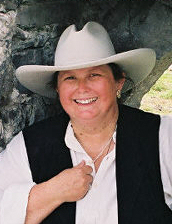 Debra has performed and taught Cowboy Poetry across North America and abroad. She is proud to have been invited to teach at the Gerard Manley Hopkins Summer School in Monasterevin, Ireland; where she worked with foreign students from around the world. Debra also does motivational speaking on cancer survival. She is currently working on two books with one emphasizing taking responsibility for yourself and not allowing bad Doctors to push you into things you do not want to do in your treatment. 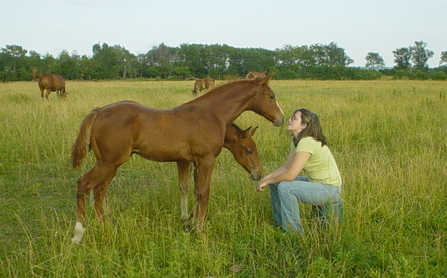 In the other book Debra shares her own experiences with her cancers and the healing power she found in her horses. Look below more information about Debra and how to contact her or to book Debra to perform, speak or teach at your event. TEXAS CROSSROADS COWBOY POETRY GATHERING! reserve your seat in class. 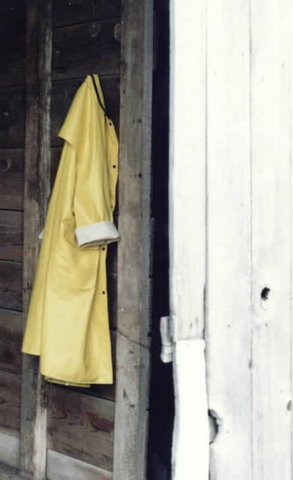 yellow slicker saved the farm. * Debra's signature piece is Dedicated with Love to Mrs. Oleta Nichols, A True Texas Lady. It has been recorded by Jean Prescott with music by Kevin Davis. Seen in a family photo is Debra's Great Grand-Daddy Ed who worked on the King Ranch as a young mand and her Mother Gayle on his horse 'Ranger'.
" 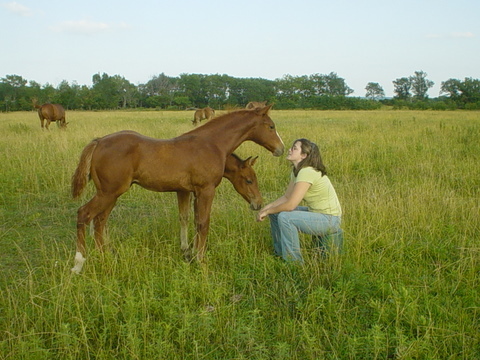 I walk out across the pasture and lose myself among the horses. Weaving back and forth among them, standing with them and leaning against them I become a part of the herd. There, as my heart beats with their's, my spirit is healed and I am made whole."